For decades buying your own home was part of the American Dream, whether the dwelling was an urban brownstone or a suburban split-level. Then came the housing crash, followed by incredibly tough borrowing standards, making it difficult to qualify for a loan. The conventional wisdom was that Millennials, not wanting to get burned by another housing bubble and lacking the stable income to think about purchasing a house, were resigned to renting. Well, guess what? A survey of consumers found owning a home is still the biggest part of obtaining the American Dream. 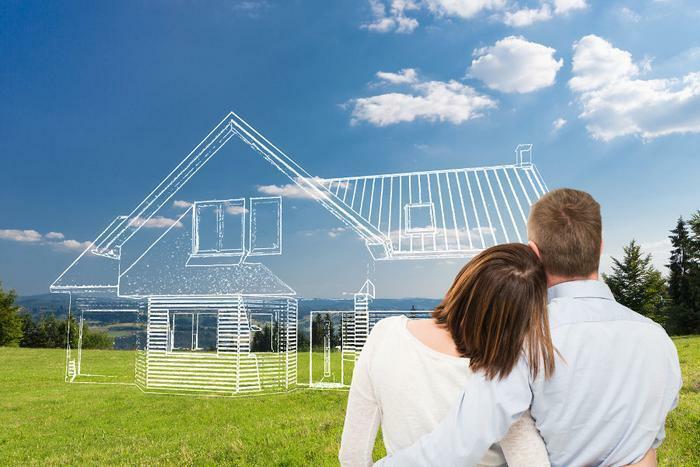 The survey, sponsored by fintech start-up Hearth, found that 19% of consumers placed owning a home as the most important aspect of the American Dream. Another 15% said "being able to pay the rent and expenses without hardship" was most important. Both were ahead of "starting a family," "finding a fulfilling career," and "sending my child to college." In particular, the survey calls into question the belief that Millennials are just fine with renting. Although 49% of them currently rent, 94% of Millennials surveyed said owning a home is crucial to them and an equal number of them say it's important to achieving the American Dream. The problem, of course, is that it's getting much harder for people who don't already own a home to become homeowners. The median prices for both new and existing homes are rising rapidly, due mainly to the fact that fewer homes are available to meet demand. Surveys have shown that Baby Boomers are not selling their homes in the numbers that had been predicted, in part because they want to "age in place," and partly out of concern about finding another home to buy. At the same time, as we noted this week home builders aren't building as many homes, and the ones they are building are too expensive for many first-time buyers. How expensive? The new home sales report shows the median sale price of a new home in July was $313,700 -- up more than $2,000 from June and a staggering $18,000 from July 2016. Homebuilders are not likely to begin building cheaper houses unless there are built in policy incentives. They complain of rising labor and land costs and find expensive homes have a much higher profit margin, even if they sell fewer of them. All of which may make purchasing a home, and beginning of the path of the American Dream, a lot harder for more people.